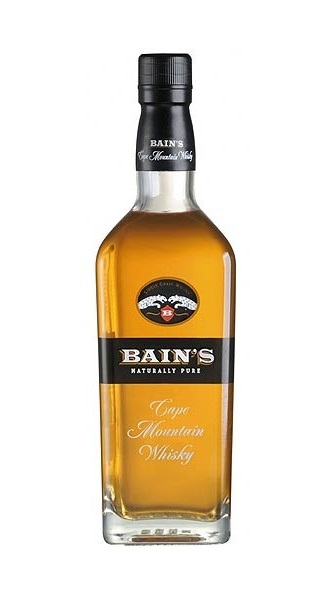 The Whisky Wire: Bain's Cape Mountain Whisky "Graingasmic"
Bain's Cape Mountain Whisky "Graingasmic"
There was a time not too long ago that if you mentioned the term ‘world whisky’ you probably would have been referring to rye’s and bourbons from the US, single malts and blends from Japan and a handful of new and exciting distilling endeavours underway in Europe and Tasmania. Though over the last few years there has been such an unadulterated world whisky boom, that it would now probably be quicker and easier to list the countries that aren't producing whisky to the ones that are. Infact if there was an A to Z of world whisky, it would be so gargantuanly and gloriously full, that you could use it to help pick a dram a day for a year and not even need to think about sipping anything from Scotch land. Not that you would actually want to do that! Amongst all the new kids on the block there are a few that are no strangers to distilling, but for whatever reason have been off the dramming radar with regards to awareness and presence in the UK, such as the James Sedgwick Distillery in South Africa. In addition to producing a stunning range of award winning blends and a 10 Year Old Single malt under the Three Ships brand, they also produce the absolute dramspanking Bain’s Cape Mountain grain whisky, which recently won the title of ‘Best Grain Whisky in the World’ at the 2013 World Whiskies Awards. The nose kicks off with a garish gust of lustfully lingering, umptuously sumptuous, grain gloriousness. Followed by warming waves of vivacious vanilla exuding from a tray of freshly baked danish pastries. A bourbon laced pecan pie and a slice of Soreen malt loaf covered in Rose’s lime marmalade make for the next set of nasal niceties, along with the alluring aromas of spiced caramel, maple syrup covered toffee apples and an empty box of After Eight mints. The palate kicks off with yet more vanilla danish action, but this time they're accompanied by a few of the peach and custard variety, along with a handful of blackcurrant Fruit Pastilles and a glug-ette of spiced maple syrup. An abundance of bourbon and rye-esque notes then dominate on the palate, so much so that you need to make a double take of the bottle just to remind yourself that this isn’t a drop of liquid americana. Subtle hints of a tropical fruit salad and a pina colada cocktail part made with a demerara rum make for the next set of sensations, along with a big wedge of moreish and moist Christmas cake, which then firmly takes hold of the proceedings and orchestrates all the other aforementioned notes into a fine, finesseful, lingering lush ‘leaving you wanting more’ kind of a finish.